Great book. 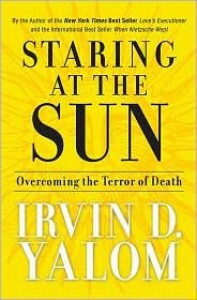 It seemed as though Yalom was trying to impart as much of his knowledge as possible before his own death. It frequently was off topic, and I loved it. By the way, it's also a wonderful tool for helping those who are struggling with their own mortality.